If you’re a bush pilot in Alaska, you’ve probably heard of Noel Wien. This skilled pilot was the first to introduce aircraft to the Alaskan skies in the 1920’s, and would pioneer a number of aviation techniques uniquely suited to this challenging flying environment. Wien completely transformed the way residents traversed what would become America’s largest state. Wien learned to fly in 1921 in Minnesota. He soon turned his passion into cash by becoming a member of the Federated Fliers Flying Circus, a traveling group of barnstormers who wowed audiences with mock aerial battles, wing walking, and aerobatic maneuvers. Sensing an opportunity up north where the terrain was challenging and gold miners plentiful, Wein flew to Alaska in 1924. Wein’s Hisso Standard biplane was soon spotted all over the state. During that summer and the next, he was the only pilot serving the territory. In 1925, Wein received his official pilot license – number 39 – signed by Orville Wright himself and issued by the World Air Sports Federation. 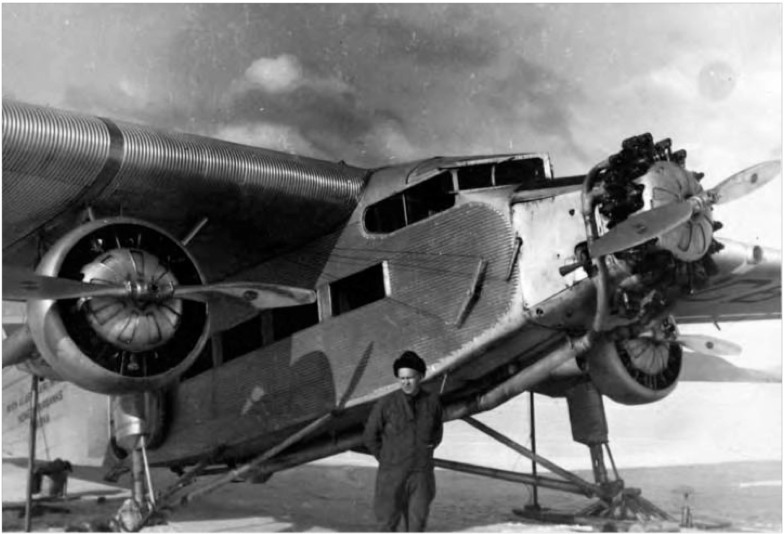 Being the first pilot to serve Alaska meant Wien logged an incredible number of firsts. He was the first pilot to fly from Fairbanks to Seattle, the first to fly from Fairbanks to Nome (two cities which have no roads which connect them, even to this day), and the first to go up beyond the Arctic Circle and the Bering Strait. This also made him the first pilot on earth to make the round-trip flight from Alaska to Asia. Wein achieved all this in punishing terrain, without a radio, guided only by his instinct and some crude maps. Experienced pilots know that even today, paved landing strips are hard to come by in Alaska. Back then, they were virtually nonexistent. Even when other pilots – including his brothers Sig and Ralph – joined him in the far north, he was still the most skilled and experienced of their number, having already logged 538 hours of stunt flying before arriving in Anchorage. Wein would go on to found the state’s first airline, Wein Air Alaska, which continued to develop new ways of delivering cargo and passengers into the far reaches of the icy north.